A lot of people think you have to go "up north" for quality fishing. 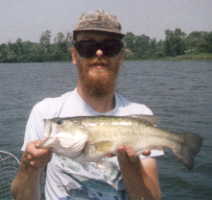 While it is true that our lakes are much more crowded, If you work at it, you can some great catches around Kenosha too! 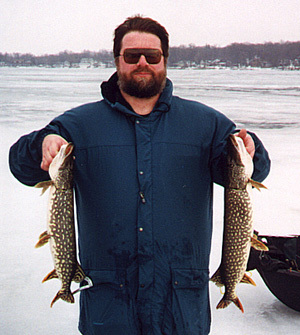 Articles discussing fishing on area lakes. My favorite lures, baits, and other fishing equipment. Special regulations for each lake. Area bait and tackle stores. Boat rentals at area lakes. Good places to find fishing equipment. Check the weather for your next fishing trip. Click "Today's Weather" link for Kenosha, (or the zip code of wherever you're going fishing and hit "go!"). To get back to kenoshaonline, hit the "back" button on your browser.